“You can’t produce spirituality from rocky soil,” asserted Haim Atar, founder of the Museum of Art, Ein Harod, at a gathering of the kibbutz cultural coordinators in 1944. 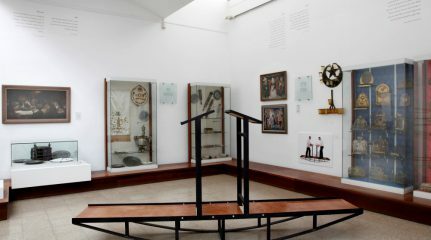 While the permanent site of kibbutz Ein Harod on Givat Qumi was still under construction, Haim began collecting ritual objects and other artifacts from the Jewish Diaspora, for a permanent art collection at Ein Harod. dialogue with the classical Jewish sources, Haskalah (Jewish Enlightenment) literature, and the culture of Eretz Israel. 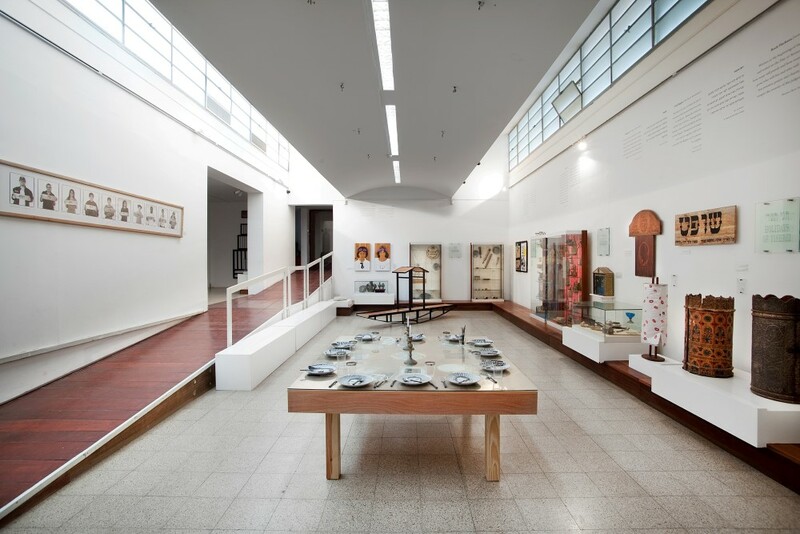 Upon the founding of the Ein Harod Museum of Art in the late 1930s, the art exhibition incorporated Judaica items, with kibbutz members contributing cherished objects they had brought with them from their parents’ home upon embarking on the journey to Eretz Israel. The first draft of the Ein Harod Museum of Art’s brochure reflected fear not only for human life but also for the fate of the Jewish cultural treasures in Europe: “We are witnessing the ongoing destruction of centers of Jewish life that have been rooted in the heart of Europe for hundreds of years. Cultural assets are being uprooted, to be lost forever … We must not also abandon the cultural assets that have been accumulated by the Jews in Israel for generations” (Nahum Benari, 1939). The groundbreaking ceremony for the permanent building of the Museum of Art was held on Simhat Torah, 22 Tishrey 5709 (25 October, 1948); its founders designated it a “repository of Jewish culture.” For over seventy years the Judaica collection of the Ein Harod Museum of Art has been on display alongside exhibitions of contemporary painting and sculpture, thereby constituting an important part of the Museum’s conceptual approach. 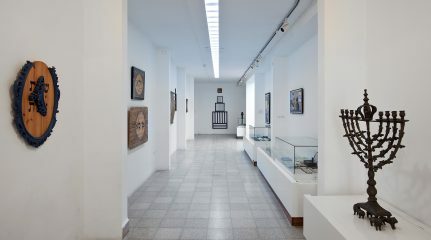 However, until now, the Judaica exhibition, unlike the Museum’s contemporary wings, consisted mainly of the permanent exhibition; although special exhibitions were shown too from time to time, the Museum did not achieve its purpose of mounting an exhibition that would engage in meaningful dialogue with the content and values of the Judaica collection. For the past few years the museum curators are focusing on linking the Judaica wing to relevant issues for our time, by integrating exhibitions of contemporary art on Jewish themes into the permanent collection. In 2010 the museum showed “Zimmun” -three emerging Jewish artists who were invited to the Judaica wing to share their unique interpretations of their own experiences of Judaism. Ken Goldman, Arik Weiss and Dov Abramsom grounded in Jewish tradition offered fresh, provocative and humourous interpretations of age old traditions. 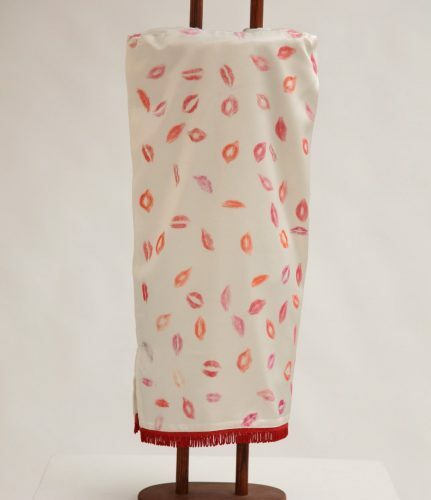 In 2012 the acclaimed landmark exhibition “Matronita” an international show of contemporary Jewish women focusing on Feminist Jewish topics was shown. Other exhibitions are planned which will deepen the engagement of current Israeli artistic discourse with Jewish themes. Take route 71 from Afula to Beit Shean. 12 Km from Afula turn left at traffic light into Kibbutz Ein Harod Meuhad (note: there is another traffic light where you can turn left into Ein Harod ihud. That’s NOT the right turn).